Stadler initially cooperated with prosecutors but has now stopped giving statements. FRANKFURT -- Audi's suspended CEO, Rupert Stadler, has appealed to a court to be released from custody after spending the past month in jail, the Munich prosecutor's office said. 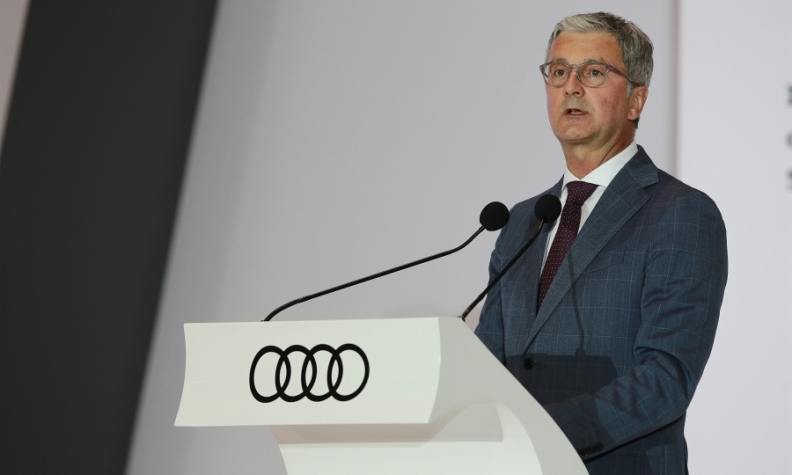 Stadler was arrested in mid-June over allegations that he tried to tamper with evidence in the diesel scandal at Audi and parent Volkswagen Group. He is being held at a prison in the Bavarian city of Augsburg. A Munich court will review his appeal. Stadler, 55, initially cooperated with prosecutors but has now stopped giving statements, the prosecutor's office said. Stadler was arrested after his phone was tapped by police, creating concerns he was trying to influence witnesses. He has rejected the prosecutor’s claim of danger of collusion in the diesel-emissions scandal and declined to make a confession when he testified, Sueddeutsche Zeitung reported earlier Thursday, citing unidentified people familiar with the procedures. The German newspaper described the questioning as very tough. Munich prosecutors are probing Stadler and another member of Audi's top management for suspected fraud and false advertising tied to illegal pollution levels in its cars and manipulated vehicle tests. Stadler's arrest marked the highest-profile detention since Volkswagen cheating scandal erupted when the carmaker admitted that it had rigged 11 million vehicles worldwide to bypass emissions tests. Volkswagen has rejected claims that top executives including Stadler were aware of the criminal scheme that stretched nearly a decade. Munich prosecutor Andrea Mayer said that the interrogation of Stadler has been completed and it’s up to the court to decide whether to release him. Stadler’s attorney, Thilo Pfordte, and Audi didn’t immediately reply to requests to comment. Audi named sales executive Bram Schot as an interim replacement after Stadler was detained.